Alderman Calls for Police Body Cameras in Milwaukee | Hupy and Abraham, S.C. In light of the events in Ferguson, Missouri, Milwaukee Alderman Tony Zielinski is asking Milwaukee Mayor Tom Barrett to include police body cameras in his 2015 executive budget. Alderman Zielinski, who is also leading a local program aimed at increasing pedestrian awareness, believes that heightened police transparency is paramount in today’s social climate. If Mayor Barrett chooses not to include body cameras in his budget, Zielinski intends to introduce a budget amendment. 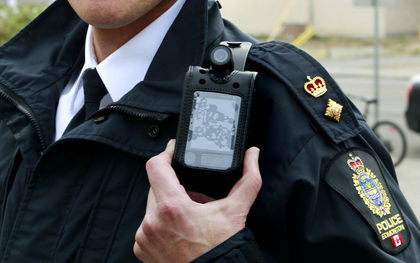 Many believe that body cameras are the best way to curb police misconduct. In Rialto, California, public complaints against officers dropped 88 percent and use of force fell by 60 percent after implementing body cameras on all officers. Police body cameras appeal to a lot of people mainly because they provide a clear record of what happened during a given incident. If a citizen’s rights are violated, there will be proof and if an officer is falsely accused, there will be vindication. However, nothing can be added to a city budget without first considering the cost. With an estimated police force of 1,875 officers and a cost of $400 per camera, body cameras would cost the city approximately $750,000. But if the investment is made and public complaints and use of force drop accordingly, the city of Milwaukee will see a considerable return on its investment, socially and financially. For example, in 2009, Hupy and Abraham, S.C. settled the largest police brutality case in Wisconsin history for $3 million when Milwaukee Police Officer Kevin Clark viciously attacked a fully cooperative suspect. The officer didn’t realize he was on camera. Ideally, if every police officer knows they’re on camera, they’ll think twice about committing such acts of aggression. And if Clark had thought twice, it would’ve saved the city $3 million. To avoid a situation similar to the one in Ferguson, Mayor Barrett is seriously considering the investment. In the coming years, body cameras might become commonplace in police departments nationwide.